Home / kayak / rigging / What is the best kayak on the market? 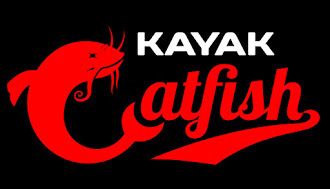 Earlier this week, a popular catfisherman posted the following question on Facebook: "What is the best brand of kayak?" Numerous comments were left on the post from people claiming their favorite kayak was indeed the "best". While I am sure this person was asking the question more to gauge market interest than to actually determine the top kayak, he still brought up a question that gets asked frequently. The fact is all the major brands make quality kayaks. Each model has its own advantages and disadvantages over the others. The only way to determine which kayak is going to work best for you is to get some seat time in as many as possible. Things like your body type, physical limitations, personal preferences, how much gear you carry, what type of water you fish, etc will all play a factor in determining which particular kayak is best suited for you. So what is the best kayak on the market? Regardless of what any pro staff or talking head on the internet will tell you, only you can decide the answer to that question.